Gapers Block - To be Demolished: 2144 S. Troy St. Permit Description: Wreck and remove 3 story brick building. This property was purchased along with 2138 and 2142 S. Troy for $400,000 on 04/08/2012. Other adjacent parcels were also simultaneously acquired. A representative of the owner claimed that no construction was planned on the site in the near future. 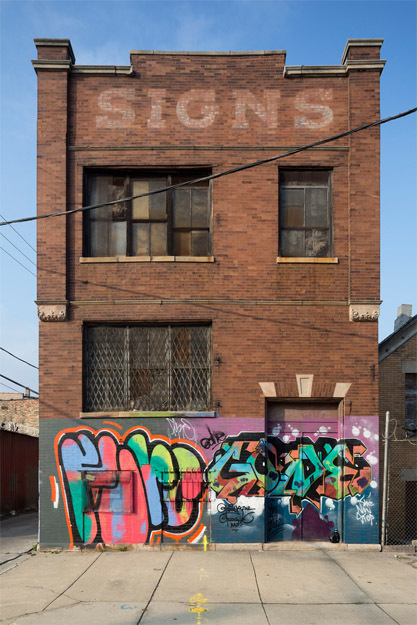 A Forgotten Chicago forum posting includes information about this building and others and their former involvement in local industry. One posted image shows a calendar page from a "Verb Sign Company" located at this address.